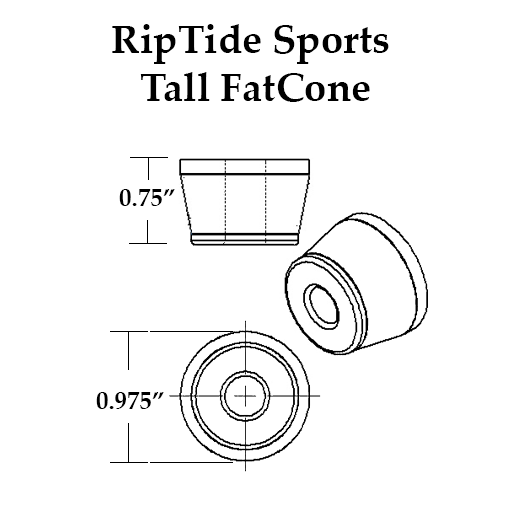 TallFatCones have the same initial stability as a TallBarrel but as you lean, they offer progressively higher resistance the further you go. The TallBarrel / TallFatCone setup is for those looking for higher stability at higher speeds but still highly maneuverable for slides, high speed carving and downhill applications. This setup is ideal when you need to restrict the ends of the lean to prevent wheelbite or if you just like a more progressive feel to your setup. Softer KranK durometer bushings (87a) are recommended for medium-weight riders (75 - 140lbs) and they are also for those looking for a looser setup in the RoadSide position when coupled with a harder duro bushing.